It's Girl Scout Cookie time! I love Girl Scouts and its motto of "Building Girls of Courage, Confidence and Character". I want my daughter to grow up to just that! And if she learns outdoor skills, teamwork and some financial sense along the way, all the better! Selling Girl Scout cookies is a way for girls and their troops to learn that financial sense while building self-confidence through the sales process. The cookies are also quite yummy...but filled with sugar and gluten (when will Girl Scouts make a gluten-free version to sell?!?). There are lots of little girls out there who would love to be able to share in the wonder that is Girl Scout Cookie time by also eating some, but due to allergy or otherwise can't eat them. Here are several links to sites who have created gluten-free versions of these timeless classics. 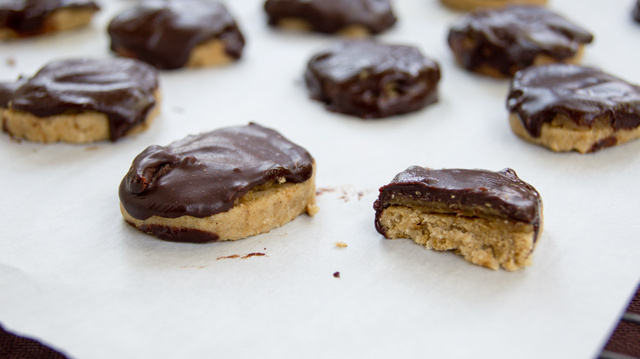 If you have gluten-sensitive girls in your troop or family, think about making them some of these so they can feel the Girl Scout Cookie thrill as well!